YBLN | How Can the ‘Unemployed’ Prepare during this Economic Recession? The economy faces its worst economic crisis in years, as the value of exports, mostly crude, plunged 52 per cent to N1.27 trillion. Much of the hard currency the nation needs to finance imports evaporated. With limited manufacturing capacity, Nigeria imports most of what it consumes. An analysis of Nigeria’s economic indicators has shown that there is cause to worry as they point to the possibility of an economic recession. Last year, the level of business confidence in Nigeria stood at 8.3 percent, while consumer confidence dropped to -3 from -1.9 recorded in the previous quarter. Also, latest statistics on the country’s Gross Domestic Product (GDP) growth rate show that the economy grew at 9.19 percent by the end of September last year from 2.57 percent recorded in the previous quarter. The projections indicated that the value of total trade is expected to reduce in 2016, increasing by only 2.41 percent as a result of moderations in imports and exports. Allocation from the Federation Account available for sharing this month by the tiers of government reduced by N17.38 billion compared to what was distributed last year. The allocation for December last year was N387.77 billion, compared to N370.38 billion shared in January 2016. The report also predicted a rise in the inflation rate from the current 9.6 percent to 10.16 percent in this year. Furthermore, Nigeria’s manufacturing production rate dropped to -0.3 per cent at the second quarter of last year from -0.7 per cent recorded the previous quarter. While the Dollar remains the king of the foreign exchange market, the value of the Naira has been fluctuating against it. The current state of the international currency market and the widening gap between the parallel market and the inter-bank rate is a cause for worry despite the frantic efforts of the Central Bank of Nigeria (CBN). Even though Nigeria’s economy growth is expected to increase to 3.78 percent from 2.97 percent and yearly growth by an average of 5.41 percent between 2017 and 2019. Meanwhile, beyond 2016, both imports and exports are expected to increase and total merchandise trade is expected to average 15.61 percent growth during this period. However, failure to have the proper plans in place to tackle issues such as the crude oil price drop, fall of the Naira and struggles in other sectors could contribute to placing the Nigerian economy in a likely recession. Recession is when an economy records negative growth in two consecutive quarters. The effects of the fall in Nigeria’s oil prices is evident in the financial report of oil and gas companies in the country who are unable to match their total expenditure with their total revenue hence the downsizing of employees. The escalating economic crises in the country has also resonated in the labour market as unemployment rate rose further to 12.1 per cent in the first quarter of this year. Meanwhile, the unemployment rate in the Nigerian economy climbed to 12.1 per cent in the first quarter of this year (Q1 2016) compared to 10.4 per cent in the fourth quarter of 2015 and 9.9 per cent in third quarter of 2015. According to the labour market report released by the National Bureau of statistics, the number of unemployed in the labour force, increased by 1,449,18 persons as against increase of 518,000 recorded in the previous quarter. With this figure, under the previous methodology of NBS, Nigeria’s unemployment rate would have been 31.2 per cent, the third highest in Africa behind Djibouti, Congo and Kenya. The report also indicated that, there were a total of 24.5 million persons between the ages of 15-64 that were willing and able to work and actively seeking for job that were either unemployed or underemployed compared to 22.45 million in the fourth quarter of 2015, and 20.73 million in the third quarter 2015. Also within the same period in 2016, the total number in full time employment decreased by 528,148 persons or 0.97 per cent, and this figure, according to NBS, consists of people who lost their jobs and were either forced or for various reasons, chose to move from full time employment to underemployment. Against this backdrop, the number of underemployed in the labour force during the review quarter, however, increased by 607,613 persons, bringing the total number in this category to 15.02 million and resulting in an increase in the underemployment rate to 19.1 per cent in the first quarter 2016 from 18.7 per cent in the previous quarter. Basically, between December 2015 and March 2016, the population of unemployed Nigerians increased by 518,000 to over 1.45 million. Which basically implies that about 1.5million more Nigerians became unemployed in the first quarter of 2016. It is therefore no wonder to see an average Nigerian complain so bitterly especially with the downsizing of workers and the high cost of living in the country. No wonder Nigerians, especially unemployed youths within the working age population took to social media on democracy day to express their utmost displeasure with the ongoing economy crisis in the country. According to the chairman of the Trade Union Congress Mr Hyginus Onuegbu, Shell laid off 7,000 of its employees, Baker Hughes – 13,000, Weatherford International – 14,000, Halliburton – 18,000. Other companies that have also laid off their workers include; the Nigerian Bottling Company which laid off 1,800 workers because of the increasing exchange rate; Diamond Bank laid off about 1000 workers this year because of restructuring of the banks operations, First City Monument Bank (FCMB) also laid off 700 workers. Economic issues and the need to refocus was given as the reason for the retrenchment. Iroko TV also laid off hundreds of workers this year mostly from their marketing department of its Lagos office because they were not able to meet up with set targets. Other companies are at risk due to the inability of companies to source foreign exchange for raw materials importation to facilitate operations. The above further revealed that even the employed are really not certain as to what tomorrow holds due to the crumbling economy. The few employed ones are daily striving hard to take up extra courses and be involved in activities to be better reposition themselves in such a way that they are more of a refined product. Thus it is important that job seekers who falls within the unemployment bracket be fully equipped with the right knowledge rather than spend so much time idling away on weightless activities. As an organisation that is fully passionate and committed towards solving the unemployment crisis in the country, The Young Business Leaders of Nigeria consistently strives (as a responsibility) to ensure that young and vibrant youths within the unemployment range are fully involved in productive activities regardless of the current economic recession. We therefore suggest a few activities you can take advantage of in order to be fully equipped with the right skills for that extra edge. 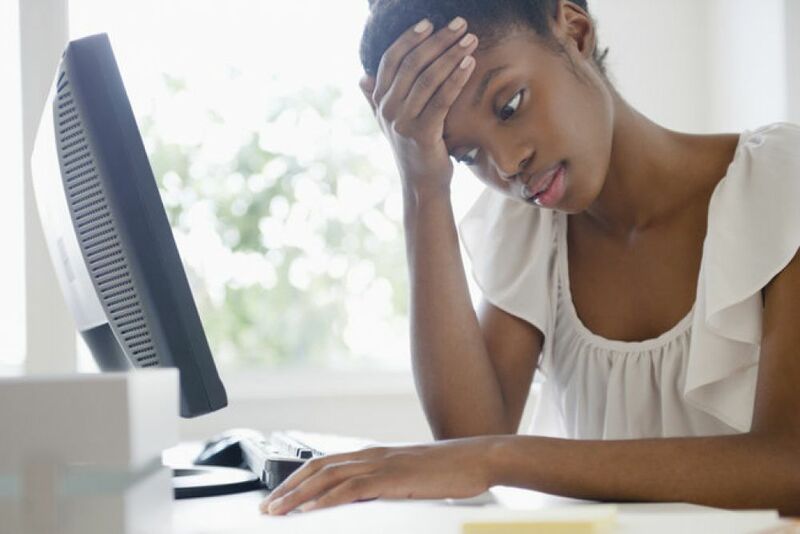 Are you one who prefers to sit at home waiting for your appointment letter to drop in your mailbox for a job position with a fat salary even as a fresh graduate? Taking that extra step to improve your employability skills could be all that stands in the way of you and that dream job. Internship opportunities enable you to use what you have learnt and expand your knowledge and benefit from on-the-job experience. Internships are a great way to explore the career choices that lie ahead of you. Although internship training is no longer what it used to be years back, you should still ensure you leverage on any opportunity to get trained. That some or most organisations you applied to for an Internship programs are not willing to pay or offer to pay less should not stop you from acquiring as much knowledge and skills as you can. If a reputable organisation is willing to offer you a temporary employment just so you can learn on the job, why not take up such offer to hone your skills and get some valuable experience? It isn’t always easy at the beginning and of a truth no one is willing to invest or pay such a huge amount on an individual with little or no skills at all. That is when an opportunity to enrich your skills comes in, In order to make yourself marketable for the “higher pay” which you desired. It may be tiring at a point but set your focus on the bigger picture ahead, comfort yourself on the point that you are equipping and learning to be more of an asset despite the ongoing economic recession. Your skillsets drives your interests. If you are a good writer, why not start blogging? Blogging is another way to keep yourself busy. You can create a blog based on your related field of study/ interests. You never can tell who might come across your blog and be interested in any of the articles you would post. Blogging affords you the opportunity to be a master in your own field. It affords you an opportunity of showing the world the value you possess and revealing more your views and opinions. 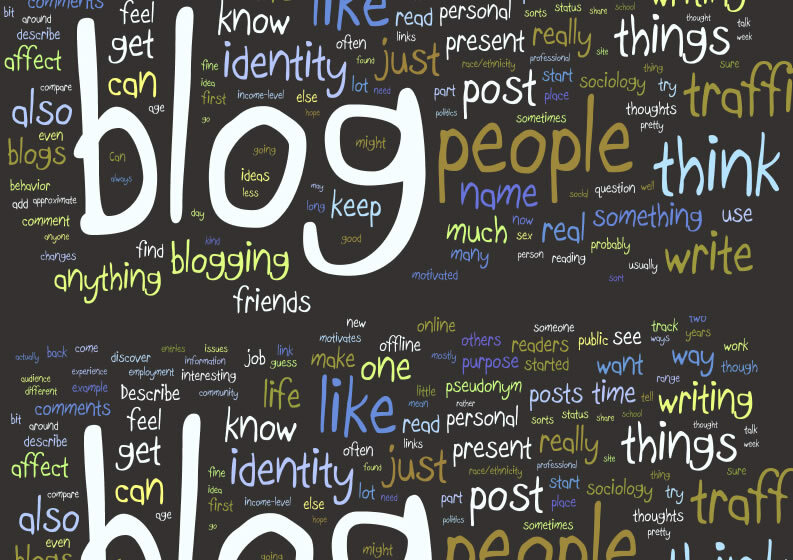 You can also encourage any interested persons to share their own views and thoughts through writing on your blog too. Or perhaps you can offer to be a guest writer on any media platform or blog. You never can tell, corporate organisations may be interested in placing adverts on your blog depending on the quality of contents and site traffic. If you enjoy teaching, then why not volunteer to teach in any school within or outside your area (short distance from your area) to save yourself from the high cost of transportation. If you like music, you can volunteer to teach music lessons to the younger ones. Most job seekers are often quick to wave off the above idea on the basis that enrolling for one requires a huge sum of money. If you have the financial capability to enrol for one, kindly do so. Remember that this is about investing in yourself. Being a member of a recognised professional body gives you an edge over others. Take advantage of careers fairs and employers’ presentations: Most job sites organise one and it affords you the opportunity to talk directly to recruiters to find out what they look for in applicants. Employer research will help you identify the skills and competences a particular organisation places more emphasis on. This is not the time to spend hundreds of hours laughing and commenting on a gossip blog. Have you heard of Jason Njoku, the founder of Iroko Tv who received $80m investment into his company? He didn’t just hang around waiting for Buhari to make something happen or blaming Jonathan for not making anything happen. Think about what you can do for yourself and the country during this time. So go ahead and improve yourself; this is the time to invest in yourself, it is not a time to idle away or join the wailers in lamenting about the shrinking economy. This is the time to fully invest, so that when by the time this unpleasant phase passes, you would have done so much for yourself because you have learnt and made yourself a valuable products.